This is a sponsored post with Foster Farms. All thoughts and opinions expressed below are my own. 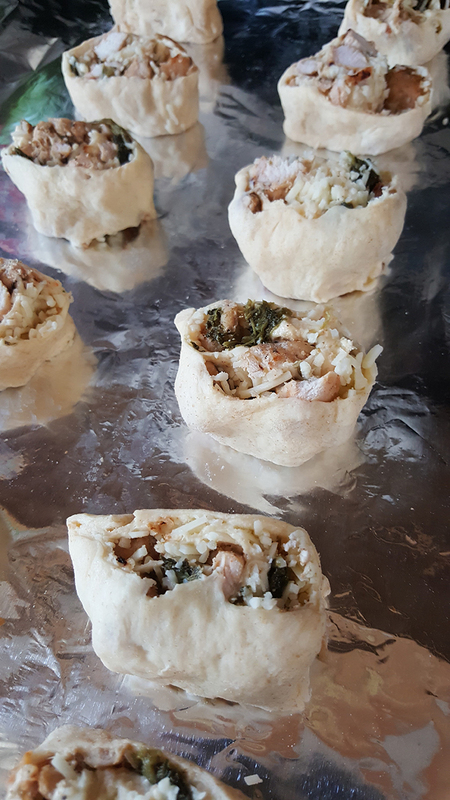 One thing I look forward to on these busy summer nights is easy and quick meals that I can make for my family that I know they will LOVE like these Chicken & Spinach Pinwheels! They are now back in school and have a ton of homework every night it seems. 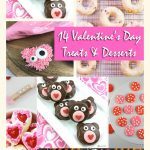 Instead of spending hours in the kitchen I would rather spend that time helping them with their homework or maybe helping with the chores around the house. 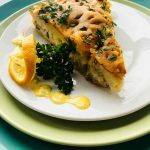 These last couple months I have been making MANY of our dinners with the NEW Foster Farms Saute Ready chicken that is available in four varieties that allows me to make a delicious meal from the freezer to table in under 30 minutes! I am one that likes my food to have flavor. When I cook chicken I usually always marinate prior to putting it on the grill or in the oven. 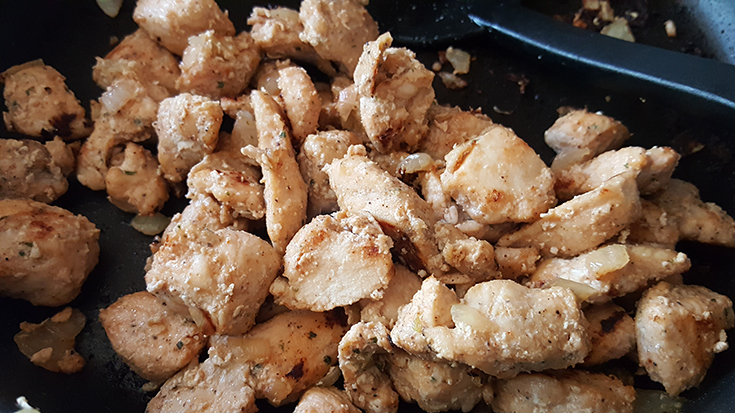 What I really LOVE about these new chicken products from Foster Farms is that they are already pre-marinated which makes cooking chicken so much easier! 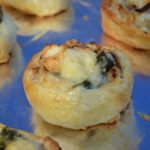 Making these Chicken & Spinach Pinwheels is really easy and you can get creative with what you add inside. 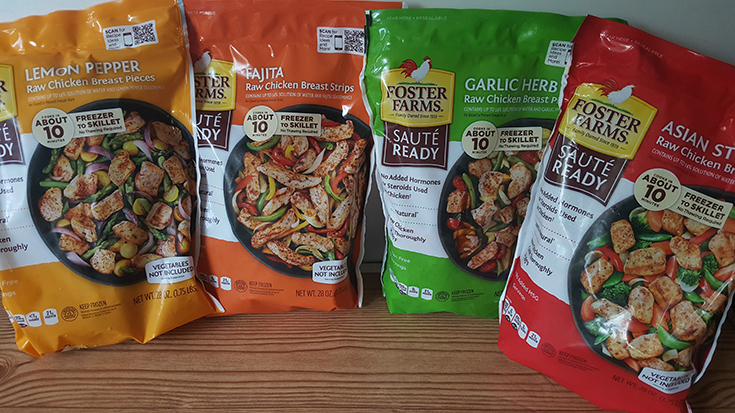 I use the Foster Farms Saute Ready Garlic Herb Chicken because I think the flavors go well with the other ingredients I like to add but you can use any of the four varieties depending on what flavor combination you are looking for. In my skillet I add about 1/2 the bag of the Foster Farms chicken and cook it on medium high heat for about five minutes before adding the onions. 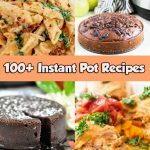 This is where you can get creative and add maybe bell peppers or make them spicy by adding some jalapeno! Once the chicken is ready it is time to get rolling! First I get out my cutting board and dust with some flour. 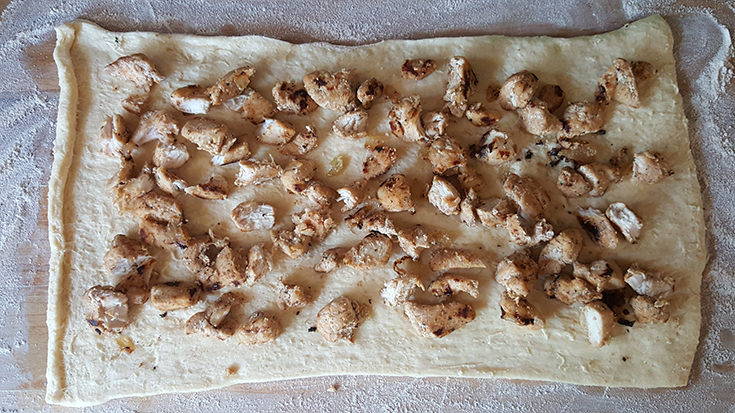 I then unroll the dough into the rectangle and top it with the cooked chicken. Next I added the cheese. 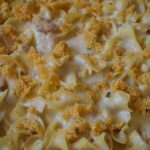 For these I like to use Asiago cheese but you can use your favorite shredded cheese too! 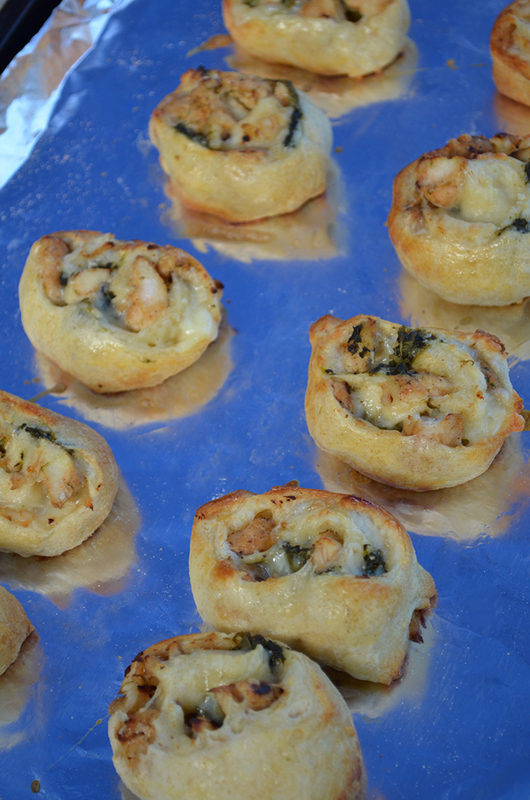 My kids are not a fan of spinach but they will eat it in their pinwheels. 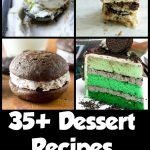 I love the flavor it brings once it is baked in the dough! If I would have had some extra time I would have probably added some cooked bacon too! The next part is the fun part or maybe the hard part for some! 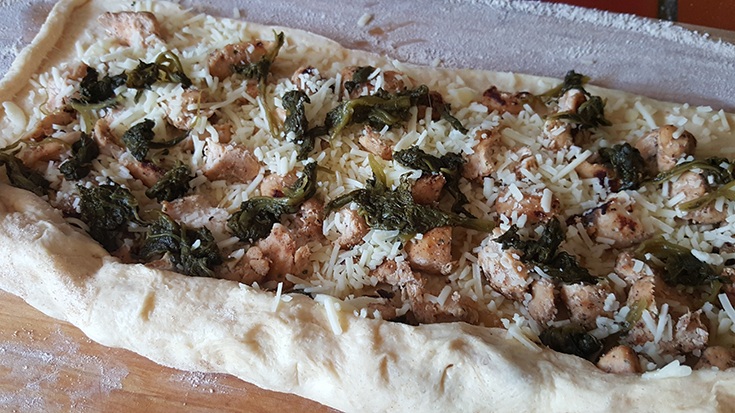 Starting with the long side of the dough, roll it up carefully and then seal along the edges. 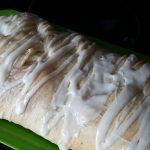 Get out a knife and cut the roll into slices. I made 12 slices that were about 2-3″ thick. Next add slices to baking sheet and brush lightly with egg. Bake at 400° for about 8-10 minutes until they are golden brown. 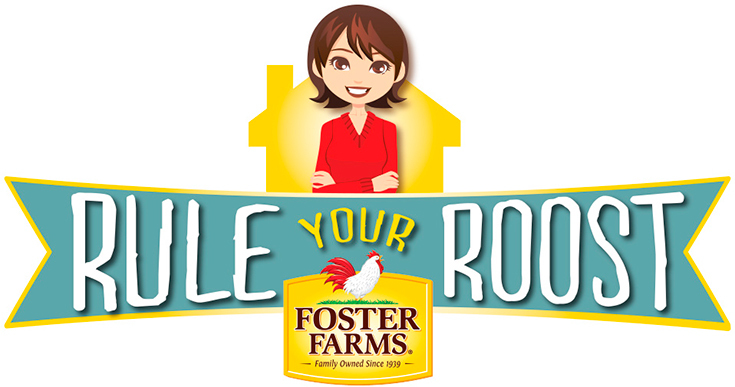 Foster Farms can help you “Rule Your Roost” by providing an incredible range of tasty, protein-rich, super easy-to-prepare meals your family will love. 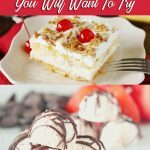 Just think about how stocking up on Foster Farms frozen crispy strips, buffalo wings, chicken nuggets, orange chicken and many other frozen chicken products and a variety of corn dogs can help you go from freezer to table in under 30 minutes. In a skillet add vegetable oil and chicken. Cook for about 5 minutes and then add chopped onion. Cook for additional 5-10 minutes. Remove from heat and set aside. On a cutting board spread dough into a rectangle. You may want to add a small amount of flour to cutting board so dough doesn't stick. 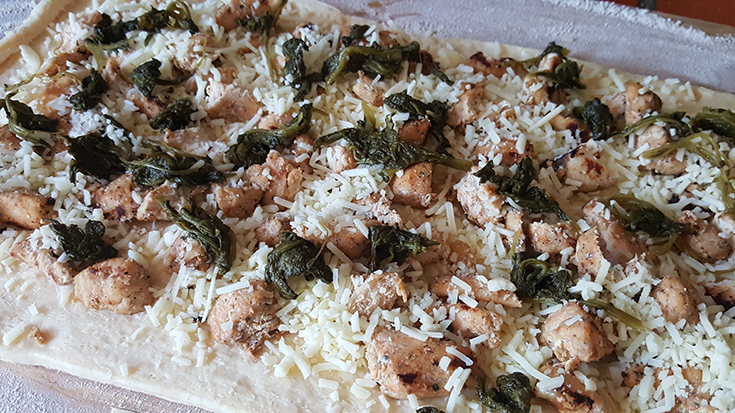 Add chicken, then cheese and then sprinkle top with spinach. 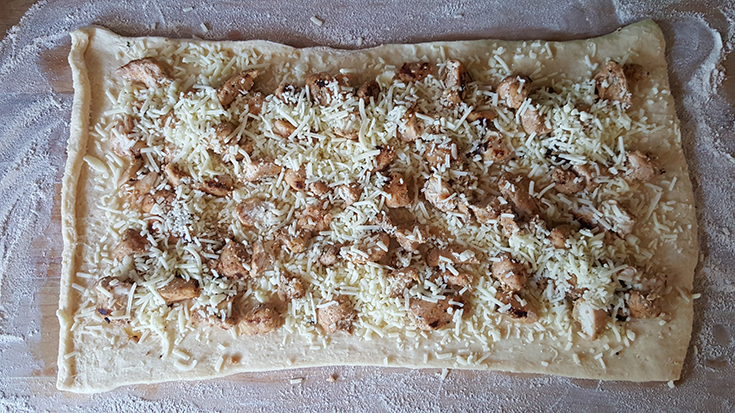 Starting with the long side of the dough, roll up; seal long edge. Cut roll into 12 slices. Add slices onto baking sheet and brush with egg. 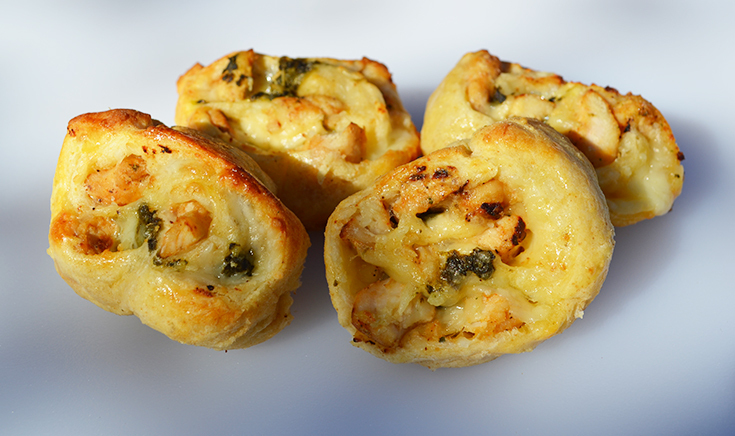 Bake 8-10 minutes at 400° or until dough is golden brown. If you’re not familiar with Foster Farms Saute Ready pre-cut and marinated frozen chicken – look for them at your local supermarket. 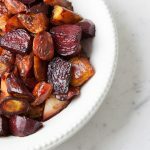 You’re going to love how each of their four different seasoned varieties (Asian Style, Fajita, Garlic Herb and Lemon Pepper) can combine in a skillet with rice or veggies or pasta to make a fast, hearty and delicious dinner (up to 7 servings per bag).